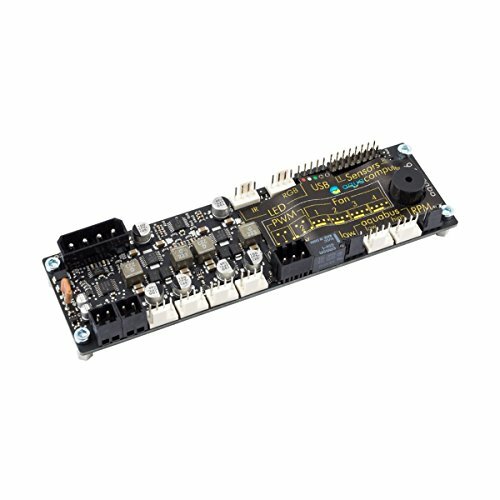 The aquaero is an absolutely autonomous working microprocessor-controlled device with USB 2.0 interface. All speed parameters and sensor values can be set and visualized in an user-friendly menu or through an even easier to use PC-software. The key features of the aquaero 6 include: · Programmable four channel fan controller · USB 2.0 and aquabus interface · Four fan outputs with up to 30 Watt of power per channel · All fan outputs with 4-Pin plug, switchable between voltage and PWM control · Versatile control options · Eight temperature sensor inputs · Flow sensor input · Three LED outputs · Potential-free switch · Two additional power outputs · Extensive alarm options · Acoustical alarm · Speed signal output for status evaluation · Expandable to a maximum of 12 fan channels Several aqua computer products can be used to expand the functionality of the aquaero 6 controller. These expansions are dynamically mapped into the menus and display pages of the aquaero, creating a consitent control system rather than individual devices. Model: 53234. If you have any questions about this product by Aquacomputer, contact us by completing and submitting the form below. If you are looking for a specif part number, please include it with your message.